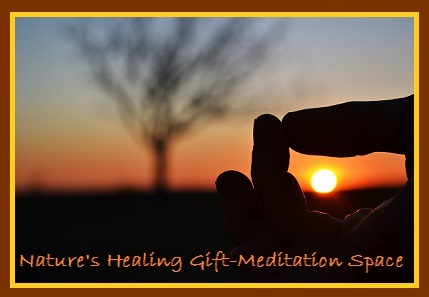 Meditating with the outdoors helps us resonate with the healing gift of Nature. 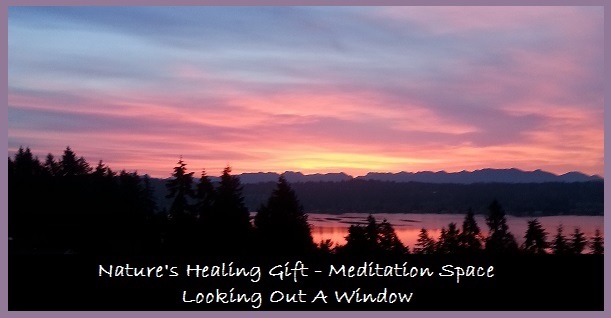 Often being mesmerized by the healing colors of a sunrise can be viewed through a window which I find very meditating. These experiences wake something up inside of us, and help to set our lives into a more natural rhythm. 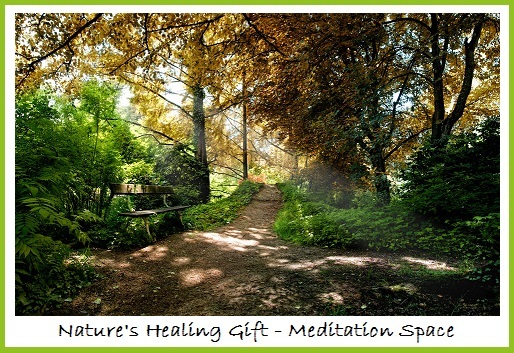 Nature lovers have discovered this secret without ever studying meditation! 1. Find a comfortable position sitting or lying down. Begin with a few deep breaths, breathing deep into the belly and relax. Close your eyes notice how your body feels, as well as the activity of your mind and emotions. Experience whatever is present without resisting anything or trying to change it. Do this for about a minute. 2. Bring your awareness to the surroundings. Feel the temperature of the air on your skin, created by possibly a breeze and the sun. Listen to Nature’s symphony —birds, bees, crickets, flowing water, and leaves rustling. For the rest of the meditation, continue to experience these feelings and sounds. 3. As you meditate, focus on where your attention is naturally drawn. If it is a bird’s song, notice the quality of the sound. Don’t analyze the sound and label it with your mind — simply notice it. Whenever your mind becomes absorbed in thoughts, easily bring it back to the sounds and sensations of being in Nature. Enjoy this meditation for as long as you want.